Men’s artistic gymnastics is an exciting discipline to judge. Competitors perform amazing routines made up of dynamic strength, flexibility, and balance skills. This is the first qualification in the judging pathway. Throughout this course you will learn the roles and responsibilities of a judge, how to judge, and how to arrive at a fair score. Upon successful completion of the course you will be able to judge at club and regional competitions as a member of the judging panel. Many of our club judges are family members and people who are already engaged with gymnastics. Becoming a judge is a great way to get involved with your local gymnastics club and help in the development of the sport. Anyone interested in men’s artistic gymnastics is eligible to take this course but you’ll need to be familiar with the discipline. Any individual that would like to judge as part of the judge panel at club and some regional level competitions. Each discipline has the age requirement of 14 years old at club level. Note: In some circumstances if you have previously competed at senior international level you may be able to start the judging pathway at National judge qualification, as you will already possess knowledge of FIG/UEG rules and routine composition. This is at the discretion of the Technical Committee for your discipline and they must be contacted in the first instance. An informative course focused on the technical elements of judging. 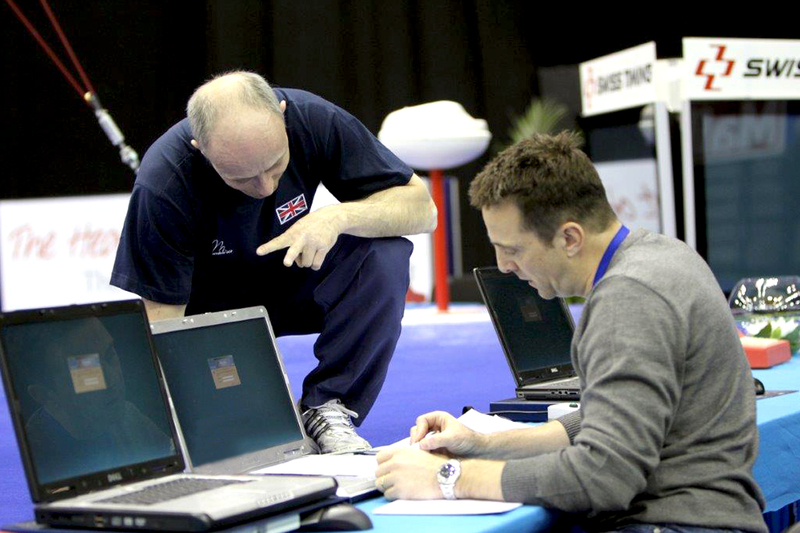 Throughout the course you will gain the ability to judge skills, apply deductions to performance and skills and understand the various judging levels. PLEASE NOTE: From time to time the FIG can change the COP throughout the cycle in each discipline. Should this happen between the course and a learners assessment or re-assessment, learners will be required to sit the assessment under the new COP. Should this happen and a learner has any concerns regarding the changes then they must contact the course organiser prior to the assessment. You can fill in the course interest form. This form will be used to inform our regional and national course organisers, your interest will be noted and you will be emailed when a course is available. We could not find any courses. You can fill in the course interest form. This form will be used to inform our regional and national course organisers, your interest will be noted and you will be emailed when a course is available.